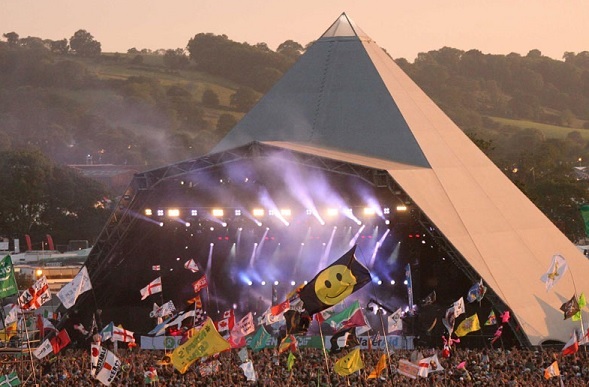 Glasto A-Go-Go | Hey nerds! Although I’ve just returned off my jollies, I’ve already found myself wistfully thinking ‘This time last year…’ at least 81 times so far this week. That’s because, after my second trip to the hallowed fields of Worthy Farm last year, I am not currently hiccupping on cider at 2014’s Glastonbury Festival. Last year, I was almost crippled by the Sunday and so missed must-see James Blake and was dazed and confused during my final headliner, Cat Power. This factored somewhat into my decision not to pitch up tent once again this year, as well as a lineup that is Glasto-levels strong but missing a next-level legend like Prince or Bowie. Of course, with curveballs like Dolly Parton and Metallica amongst the array of Top 40 acts, superstar DJs, hippies with guitars and madcap crazy acts you’ll find playing in something approaching a rabbit hole (in fact, there’s a stage called The Rabbit Hole! ), there’s plenty to get excited about even if you’re not dashing around Michael Eavis’s backyard trying to catch five bands at once. If, like me, you’ll be camped out in front of the TV all weekend (this is the REAL World Cup, yeah?) then the BBC is your best friend. My dream red button lineup includes Arcade Fire, Lykke Li, Warpaint, Blondie, James Blake, Jack White, MIA, John Grant, The 2 Bears, London Grammar, Lana Del Rey and so on and so forth… who will you be watching? ?